Becoming a Certified Lasso Developer (CLD) member demonstrates your level of Lasso skills, and comes with a benefits package that recognizes your commitment to quality programming. A CLD badge is a brand of quality for your programming work. 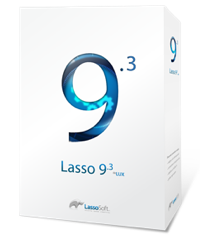 CLD's are developers who use Lasso as one of their primary or favourite tools for development and wish to encourage and direct resources of strategic initiatives within LassoSoft itself and possibly generate more work for themselves. You don't need to be a CLD to develop using the Lasso language. It's does, however, provide a nice buzzword for your website, Facebook page, CV or memo to your upper management. Continuity Assurance makes clients and corporates take notice! The first step involves a $99 test - so you can even use the designation after your name: Sean Stephens, CLD. This is your right of entry to the benefits obtained by Membership. To be listed in the Certified Lasso Developer listing page, and to appear on the homepage, you will need to subscribe to the CLD membership, from one month for $49 - or pay for as many months as you want so you don't have to sign-up for monthly renewal. A simple online test has been constructed allowing developers to show their stuff in a little as 15 minutes. Developers who read through some basic tutorials or have previous knowledge of a middleware web language and some basic syntax awareness of Lasso will pass easily. You get a CLD badge* for your Developer profile on LassoSoft's site, that you can also use in your own sites, and marketing material. Discounts on products, services and the Lasso Developer Conference Registration! Code Continuity Assurance. 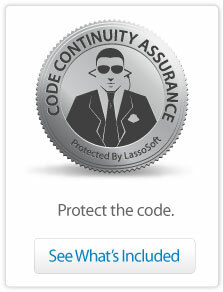 LassoSoft stands behind your code in the event of a tragedy while an alternative developer is found or you recover. Our commitment to you: We want you to succeed. 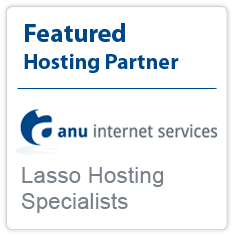 We will work with you to deliver the best Lasso for your clients needs. If you need something. Call us. The CLD license is designed for Lasso developers who run their own applications from their own or managed hardware. This fully operational license is non transferrable (i.e. always tied to the original developer). Commercial user entities with developers as employees are strongly encouraged to use commercial Master or Hosting licences, as well as promoting developers to be CLD for optimal learning and development. Personal or professional promotion of CLD status requires maintaining a current membership. Any person professing to be a CLD without a membership in the current year will be required to reinstate membership or be required to remove and retract any statements and symbols of Lasso, LassoSoft or CLD from their website(s). Any CLD who misuses their CLD licenses may have their status temporarily or permanently revoked, in which case their licenses will revert to the equivalent Master license level. ** you can opt to not to be displayed in the CLD listing if you prefer. Buy the test from Memberships for $99 and you will be sent a link to your test page. Join the ranks of the CLD and start reaping the rewards.